‘Tis the holiday season, and I’m loving it! 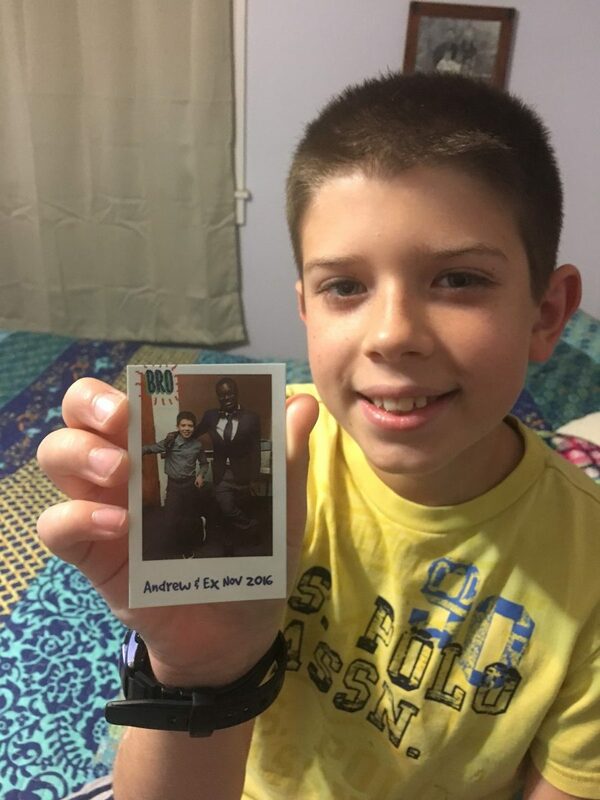 In the holiday spirit, Polaroid has offered to include my readers in the #PRINTitFORWARD campaign, so in honor of #PRINTitFORWARD, I have a Polaroid Snap Touch to give away! I was sent a Polaroid Snap Touch to facilitate this post, but all thoughts are my own. From now through December 31, Polaroid will be giving away one camera a day to those who share their favorite photos on social media and use the hashtag #PRINTitFORWARD. It’s as simple as sharing a photo (which I’m sure you do already!) and adding the #PRINTitFORWARD hashtag! But Polaroid doesn’t stop there! Join them all season long for giveaways, contests, and other surprises as they celebrate the season of giving. Just follow the #PRINTitFORWARD hashtag and Polaroid on Facebook | Twitter | Instagram. Or…scroll to the bottom of this post and win one right here! Even before I learned my way around a fancy camera, I loved taking pictures of anything and everything. I feel like I’ve always seen the world better through a camera lens. I am fascinated by all types of cameras – from film to digital, small and simple to big and fancy. And my latest obsession has been Polaroid cameras. In fact, Polaroids are on TWO of my family’s Christmas wish list this year, so I’ve been able to check off one of our items with this super fun camera! My husband says that getting a Polaroid is a “step back” but I completely disagree! There’s something so special about having a print of a favorite picture. In fact, I have a Polaroid shot of me and two friends that I keep paper clipped to my calendar page and move it up each month. It always makes me smile. My friends don’t even know that I see and think about them every day, but thanks to our picture, I do! I’m having a blast with my new Polaroid Snap Touch. My favorite thing, hands-down, about the Snap Touch is that it has a dual use. 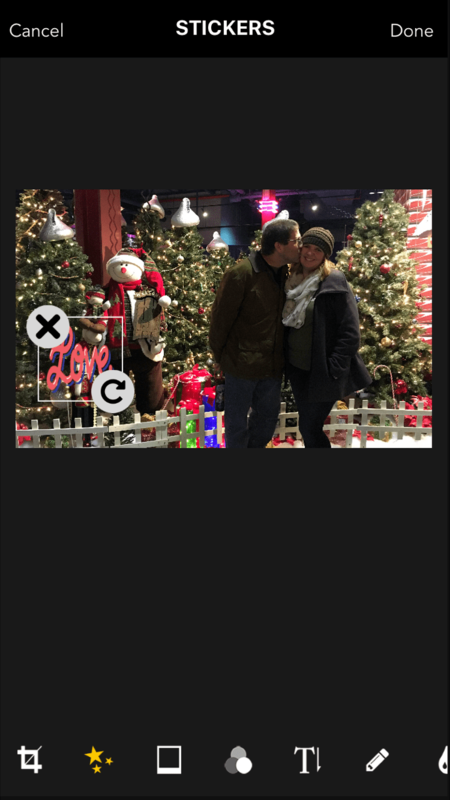 Not only can you take pictures with the Snap Touch and then print those photos, but you can connect your smart phone to the Snap Touch via bluetooth and print the photos you’ve taken on your phone. Brilliant! My *other* favorite thing about the Snap Touch is that you have a choice about what you print and how many copies you make, so you no longer have to worry about wasting precious photo paper with a shot that didn’t turn out. 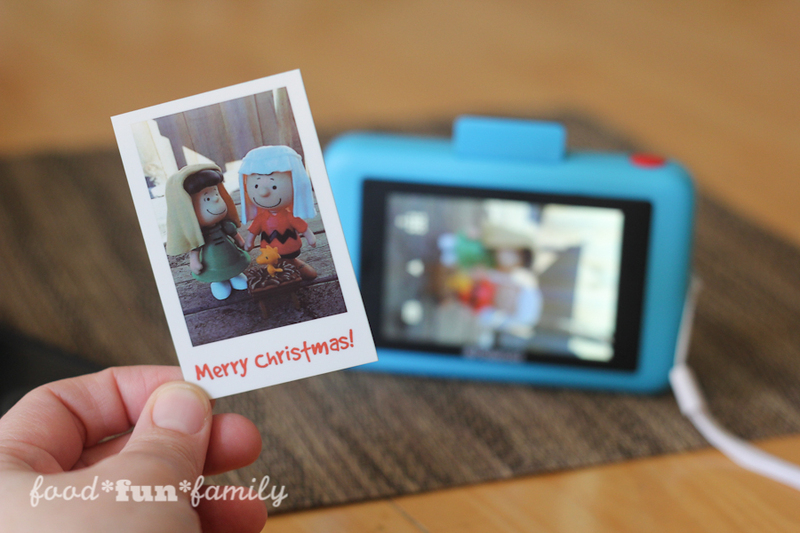 Because the Snap Touch is a digital camera (with a micro SD card slot so you can add a TON of pictures!) you can take pics now and print them later. COOL TOUCHSCREEN DISPLAY – The Snap Touch has a 3.5″ LCD viewfinder that makes capturing still photos, video, and selfies a breeze (selfie mirror located next to the flash). Then after you’ve captured your shot, you can use the touchscreen to edit, add borders, stickers, or text to your pics before printing. ZERO INK, ZERO TONER – The Snap Touch uses Polaroid Zink Zero Innovation; all you have to do is add 2″ x 3″ Polaroid Zink Zero Ink Paper and watch your photos come to life! 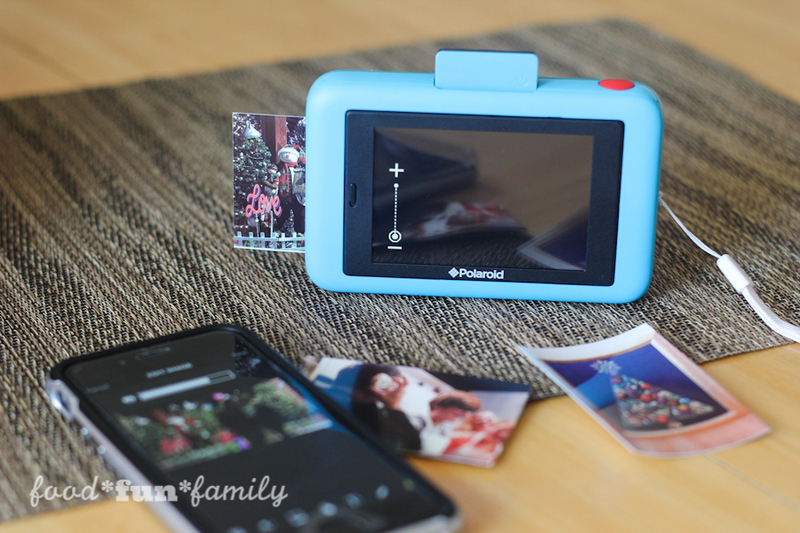 SMARTPHONE COMPATIBLE – Just connect your Snap Touch to your smart phone via bluetooth, through the Polaroid Print app for iOS & Android. 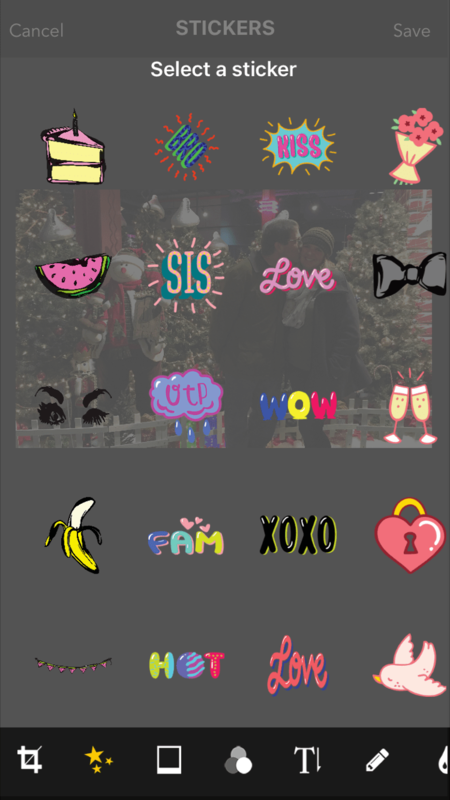 Within the app, you’ve got even more filters, text options, emojis, stickers, and borders to add to your photos. 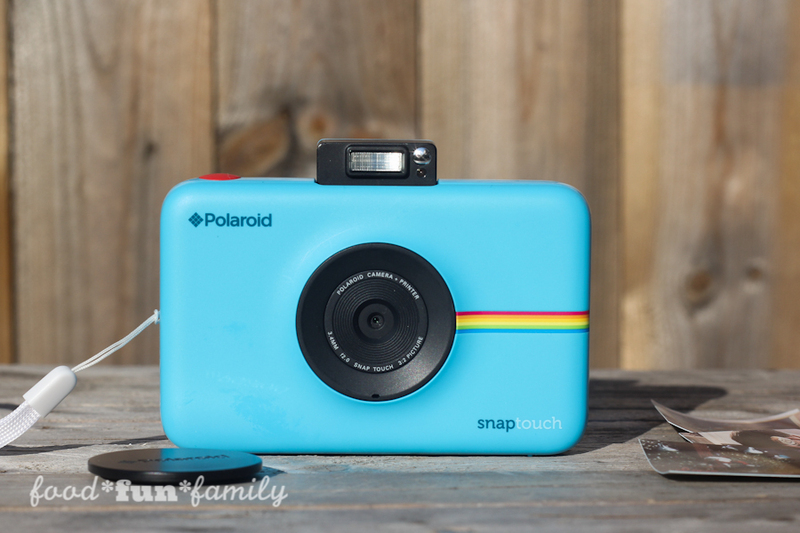 CHARMING DESIGN – The Snap Touch comes in a variety of fun, bold colors, like my BLUE (love!). It also comes with a handy wrist strap, micro USB cord for charging and a 10-Pack of Zink Zero Ink Paper. 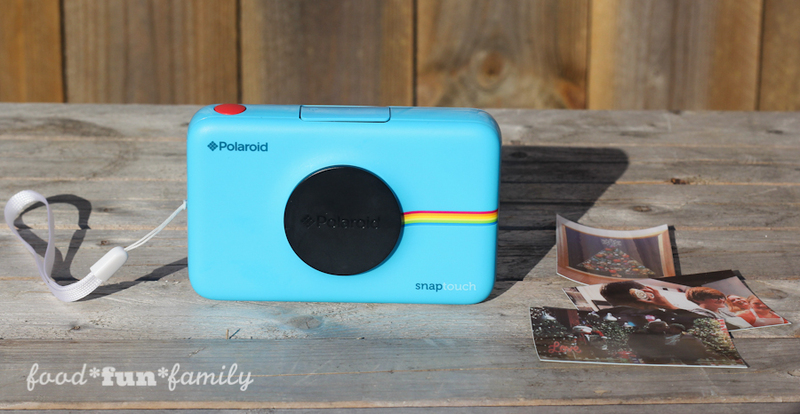 Enter to win a Polaroid Snap Touch Camera (ARV $179.99) HERE! 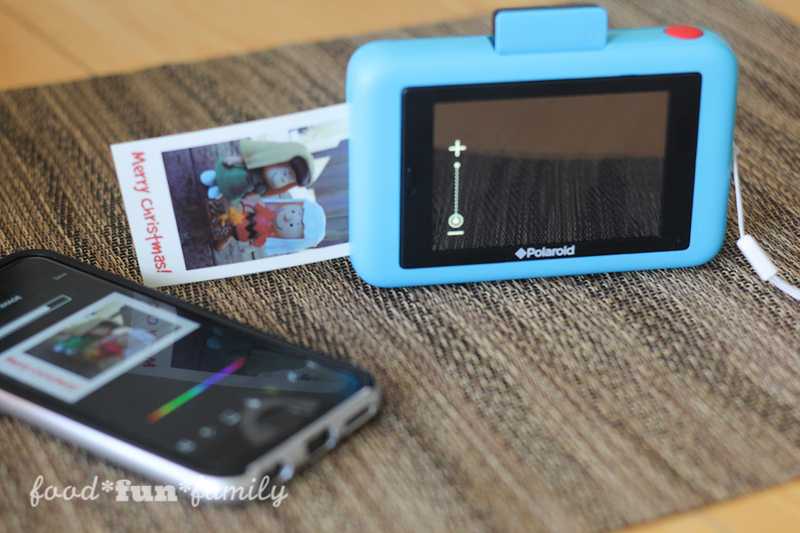 Enter to WIN your own Polaroid Snap Touch camera on the widget below! The giveaway will run through December 18 at 11:59 pm ET. One winner will be chosen at random and notified via email. Good luck and spread the word! I love taking photos of family members and pets! My favorite thing to photograph is nature. I like to photograph nature and take wonderful pictures of my family. Thanks for the chance to win such an amazing giveaway. I live in Charleston so I love to photograph the old houses. My favorite subject to photograph is flowers, plants, trees, and nature. I like to photograph everyday life. My favorite subjects to photograph are my son and daughter! My favorite subjects to photograph are nature and my family. I love to take pictures of nature and my family. My kids are my favorite subjects to photograph. I love taking pictures of nature and pretty architecture. My favorite subject to photograph is my family. I love to photograph special occasions and holidays. I like to photograph my kids. I love making pictures of my kids! Oh mine is Monarch butterflies and caterpillars! We raise them in the summer, last year we raised and released 249! I love taking pictures as they spin their Chrysalis or emerge as a butterfly! So beautiful! I love family photography, there’s always something to take pictures of , I’m the one taking hundreds of pictures every week ,I have pictures of everything we do as a family. I love taking photos of my kids of course! They like taking pictures of everything! Thanks for the chance! Happy Holidays! I love taking pictures of my grand children,garden,flowers,pets ! I also like to take family vacation pics! Thank you for the contest . Good luck everyone! My daughter is my favorite subject to photograph. Oh that’s easy. My favorite subject(s) to photograph are my cats and my cooking. I most often photograph family and pets! I love to photograph my dog Tuc and all the crazy things that he gets himself into.Now that we finally have snow I will be able to get some great pictures of him playing in it. My Grands are my favorite subject to photograph. My favorite is nature. I live in the mountains and its beautiful to photograph. I like to take pictures of my kids in national parks. I love taking pictures of my daughter at her competitions. I like to take photos of my grandsons and sunsets. I love to photograph our travels. I love having tangible memories of where we’ve been and what we saw. I like to photograph animals. My son is my favorite subject to photograph followed by the cats! I would love to win this awesome camera! It would be a perfect gift for my sweet daughter! I love to take photos of my young Grnadson! I love to photograph my baby girl. I love to photograph my kids! I like to take pictures of nature especially rivers and streams. I love to photograph water. Especially oceans and wakes of boats! I love photography my child and sunsets/sunrises! Sunsets are my favorite too! My favorite subject to photograph is my children. I think every mom would have to say her kids. Now I have added the dogs and cats to that list! I love taking pics of my kids. and nature- usually animals. especially our chickens! My fave is definitely my little girl – she’s my heart!!! My favorite subject to photograph is nature.